Currently on display at the Rincliffe Gallery is the exhibition “Toys, Trinkets and Trifles.” The show was organized by Drexel’s Museum Leadership Program and the assistant director of the Drexel Collection, Lynn Clouser. The display includes long silver slinkys, dollhouses and, to top it all off, a rocking horse chair. Clouser, who serves as the curator, thought of the idea when she discovered a cabinet full of toys in the back of one of Drexel’s storage areas. “They weren’t in our database and they hadn’t been cataloged yet … I was coming up with a calendar schedule for the exhibitions, and I thought it might be nice to be able to use these pieces that hadn’t been on view in a little while,” Clouser said. 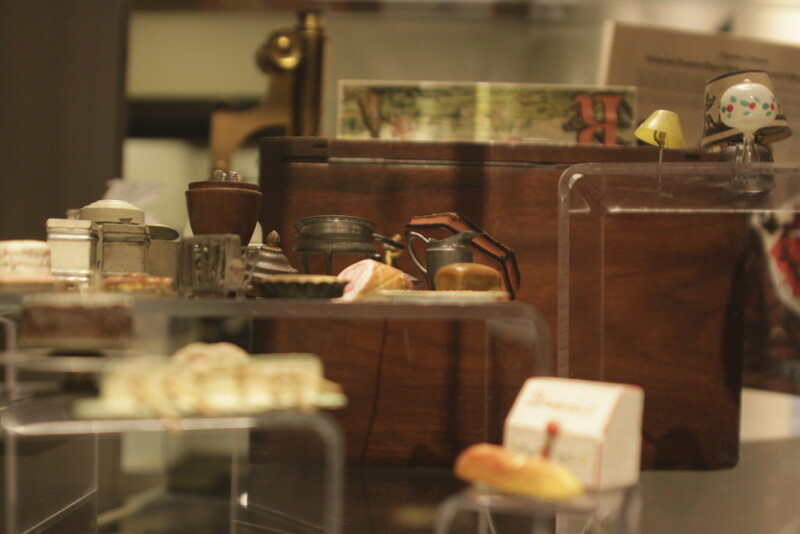 Many of the dollhouses included in the exhibit belong to Clouser herself. The students belonging to the Museum Leadership program came up with the evocative theme. “They really wanted to focus on happiness, nostalgia and just the way things make you feel. It’s less of a strictly educational [exhibition], but I think it’s a good way to introduce people that the collection exists. More people are going to notice this show. This one is a little more catching and a little more personal especially with the personal statements and the labels,” Clouser said. The Drexel Museum Leadership Program is a new graduate course through the Westphal College of Media Arts and Design that began two years ago. It is directed by Danielle Rice who served as the executive director of the Delaware Art Museum from 2005 to 2013. Before, she worked at the Philadelphia Museum of Art for 19 years. Rice has held many positions including associate director for various programs as well as senior curator of education. Drexel’s graduate program consists of about ten students who study arts management and museum leadership in order to obtain a Masters in Science degree. The program focuses on “training students in the basics of museum works and museum studies,” Clouser said. “And that’s the practical application of working in a museum. It’s curating, designing, collection management, just the ins and outs of making a collection run. But on top of that, they’re also learning more on the management end of things: the fundraising, the strategic planning involved to become leaders in a museum,” she continued. Drexel puts on about four different exhibits throughout the year. A majority of the objects are pulled from Drexel’s very own collection. Some upcoming displays to expect include Japanese Woodblock Prints and Taxidermie. 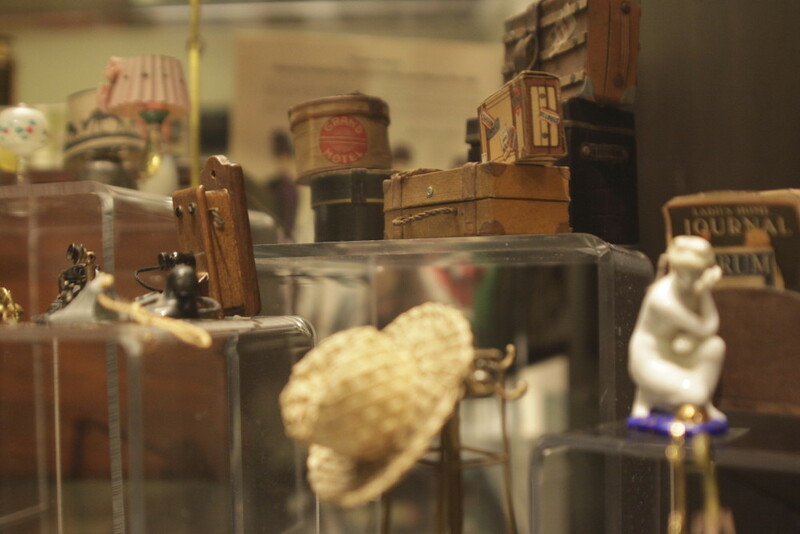 The “Toys, Trinkets and Trifles” exhibition will be on display until Feb. 16. Clouser encourages students to visit. “It’s a really fantastic collection. Definitely worth looking at for some childhood memories,” she said. The Rincliffe Gallery is located on the third floor of Drexel’s Main Building and is open Monday through Friday from 8 a.m. to 8:30 p.m.